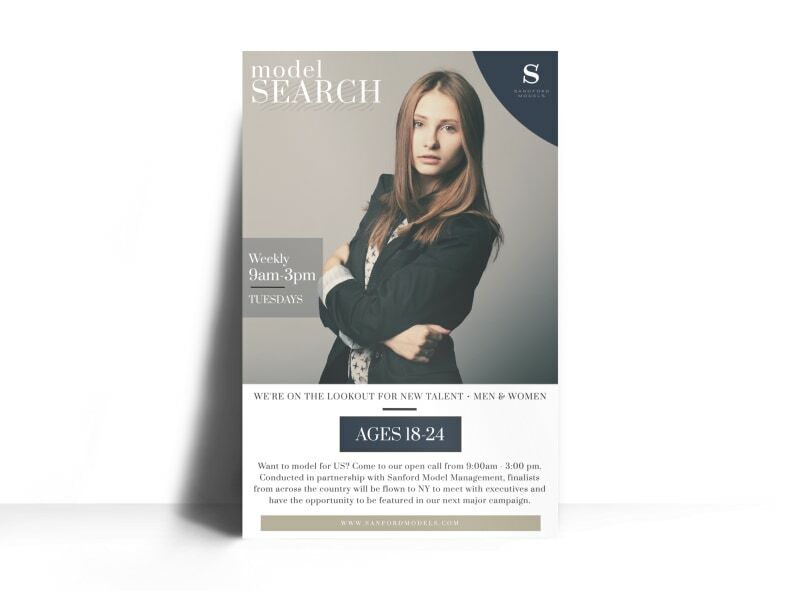 Customize our Fashion Model Search Poster Template and more! Discover the next big thing in modeling with a poster advertising your fashion model search. Add graphics and images, and then insert custom text to entice would-be rulers of the runway to contact you. Get started on your design today, and have your poster ready for instant printing in a matter of minutes.